There is a saying in Spanish to the effect that if a door closes for you a window will surely open. I feel like that has happened to me now. Last week was an especially tough, bordering on pretty darn bad week for me. Somehow everything, but everything came together. I felt a tsunami was closing in and the towering waters would sweep me away at any minute. This week, however the tide has turned and it brought back my good humor. Everything seems to have fallen back to its rightful place once more. Even the sun has come out of hiding, the sky is showing tiny specks of blue and I am cheery. One of the things that has brought back that good humor is that I have received my first ever request to make something for sale. Amazing, isn’t it! A dear colleague of mine saw Percy the mouse on this blog and fell in love with it. He’d like me to make one just like it for his little daughter. My colleague has a wonderful sense of humor. So when he said he already thought of a name for the yet unborn mouse I knew I was in for a treat. He had a play with the name/word Percy and decided to name her Pörci. For those of you not familiar with the Hungarian language, I’ll help you: Crispy Bacon. Let me assure you, before he will receive the tiny creature he will have to swear to what is holy that no harm is going to ever come to her! Along with this fun and humor filled wish I have also received a couple of requests related to Percy. 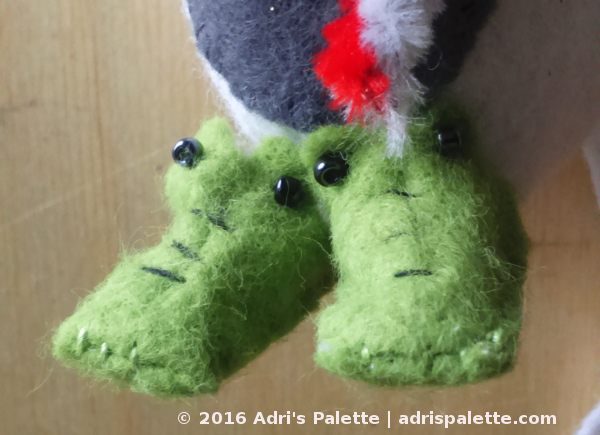 You asked me to share how I made his alligator slippers. I thought I’d take this opportunity then not just to share the good news, but also the know-how of the feet warmers in the form of a pattern. 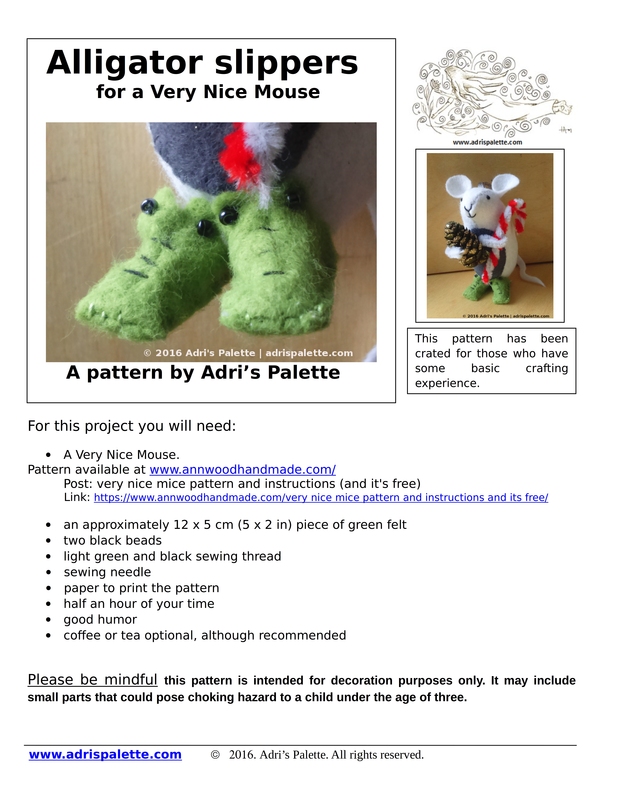 If you are interested, the free pattern can be found here, on the Printables page of the blog. If you decide to make them, make sure you share your creations with me on Instagram! Have fun!